Are you enthusiastic and do you always know how to handle things? You can apply for this vacancy if you are available to work for a minimum of 24 hours a week. Are you looking for a shop assistant job you can do next to your studies? And are you available at shopping nights, Saturdays, possible shopping Sundays and school holidays? Are you enthusiastic, do you own good leadership skills, responsibility and do you have at least 4 years of experience in the fashion world? You can apply for this vacancy if you are able to work for a minimum of 32 hours a week. Interested in an internship at Intercity Boutiques? Are you doing a study in the fashion branch/retail business? And do you want to be helped to become a real sales- or shop manager? Intercity Boutiques is a recognized learning business. 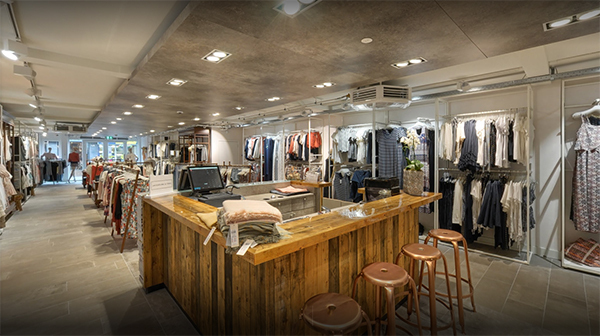 Interested in an internship at the Intercity Boutiques office, located in Egmond aan den Hoef? At Intercity Boutiques it is possible to do an internship in different kinds of directions. We can offer the right internship for you and the necessary recognition as a learning business. For instance, do you study web design, graphic design, spatial design, communication or logistics? And do you have a passion for fashion?